View More In Switches - Page 2. The HPE OfficeConnect 1920S Switch Series, is designed for small businesses that require enhanced performance to support bandwidth-demanding applications. They are ideal for environments that require advanced features for granular control and where smart-managed flexibility is a must for easy network configuration and management. 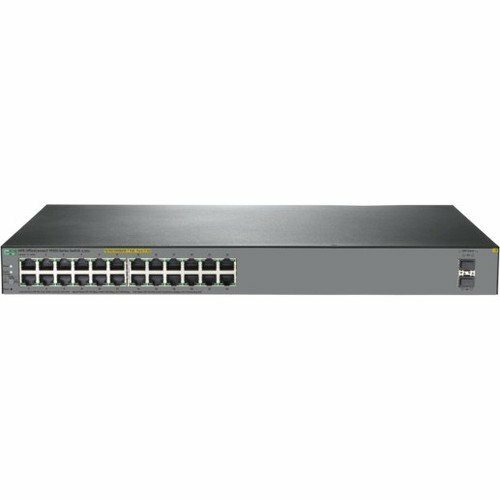 The switches are advanced smart-managed fixed configuration Gigabit switches that are optimized for small business price/performance. They offer 8-, 24- and 48-port configurations, choice of PoE+ and non-PoE+ models; some include SFP slots for fiber connectivity.